One of the Southeast’s most vibrant mid-sized cities, Columbia, S.C., is home to the longest total solar eclipse on the East Coast for a metro area and will host Total Eclipse Weekend Columbia, S.C., a long weekend of more than 120 eclipse-related festivals and events, from Aug. 18 to 21, 2017. Plan your trip at http://www.totaleclipsecolumbiasc.com. Dubbed the “Total Eclipse Capital of the East Coast,” where viewers can experience totality for up to 2 minutes and 36 seconds, Columbia, S.C., has been identified as one of the top places in the nation to experience the total solar eclipse by astronomy experts and media such as USA Today, Forbes, the Boston Globe, the Washington Post and more: http://totaleclipsecolumbiasc.com/press. Composed of walkable lifestyle districts with hotels, restaurants, shopping and public art, Columbia, S.C., is the third largest city on the centerline of the “path of totality” that crosses the country from Oregon to S.C. Darkness will fall in Columbia, S.C., in the middle of the afternoon at 2:41 p.m. on Monday, Aug. 21. NASA has estimated that South Carolina could see up to 1 million visitors. View a Columbia, S.C. eclipse map. Large-scale Soda City Eclipse Viewing Festival and Eclipse Eve Drive-In Movie at Historic Columbia Speedway in Cayce, S.C. Historical tours of 12,000 Year History Park in Cayce, S.C. Anyone planning to witness the total solar eclipse needs certified protective glasses with a special safety film to view the partial eclipse leading up to and following the total eclipse. However, viewers in the Columbia, S.C., area will want to remove their glasses at 2:41 p.m. for the 2 minutes and 36 seconds of total eclipse in order to witness totality. However, glasses should be worn before and after totality. Notably, the partial eclipse before and after totality is not visible without glasses, since the sun is still so bright even up to the final moments of the moon covering the sun. Free Total Eclipse Weekend Columbia, S.C. eclipse glasses will be distributed to eclipse event guests by many of the event hosts who have listed their events at http://totaleclipsecolumbiasc.com, thanks to a sponsorship by the City of Columbia, S.C.
One of the Southeast’s most vibrant mid-sized cities, Columbia, S.C., is home to the longest total solar eclipse for a metro area on the East Coast and will host Total Eclipse Weekend Columbia, S.C., a long weekend of more than 120 eclipse-related festivals and events, from Aug. 18 to 21, 2017. At 2:41 p.m. on Monday, August 21, 2017, viewers in the greater Columbia, S.C., area will experience up to 2 minutes and 36 seconds of darkness in the middle of the afternoon. NASA estimates that South Carolina could see an influx of up to 1 million visitors to witness the U.S.’ first transcontinental total solar eclipse in 99 years. The Columbia, S.C., region’s long weekend of eclipse events includes a variety of large and small festivals; kid-friendly/family activities; food & drink parties; outdoor river and lake adventures; education, science & history events; art, film & dance happenings and more. 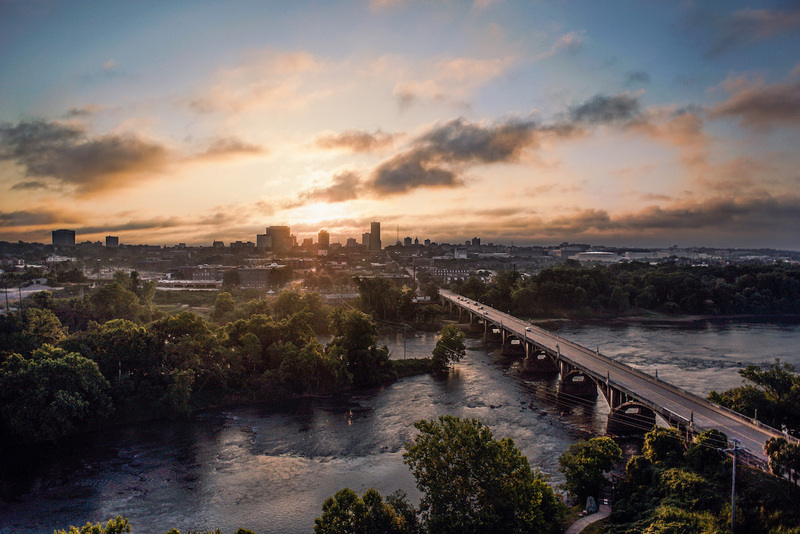 Dubbed the “Total Eclipse Capital of the East Coast,” Columbia, S.C., has been named a top U.S. viewing city and has been covered by the New York Times, USA Today, Forbes, Fodor’s Travel, the UK’s Telegraph, the Chicago Tribune, the Boston Globe, the Washington Post and others. Follow @TotalEclipseCAE and plan your Total Eclipse Weekend Columbia, S.C. at http://www.totaleclipsecolumbiasc.com.